The Little Crooked Cottage : Mr. 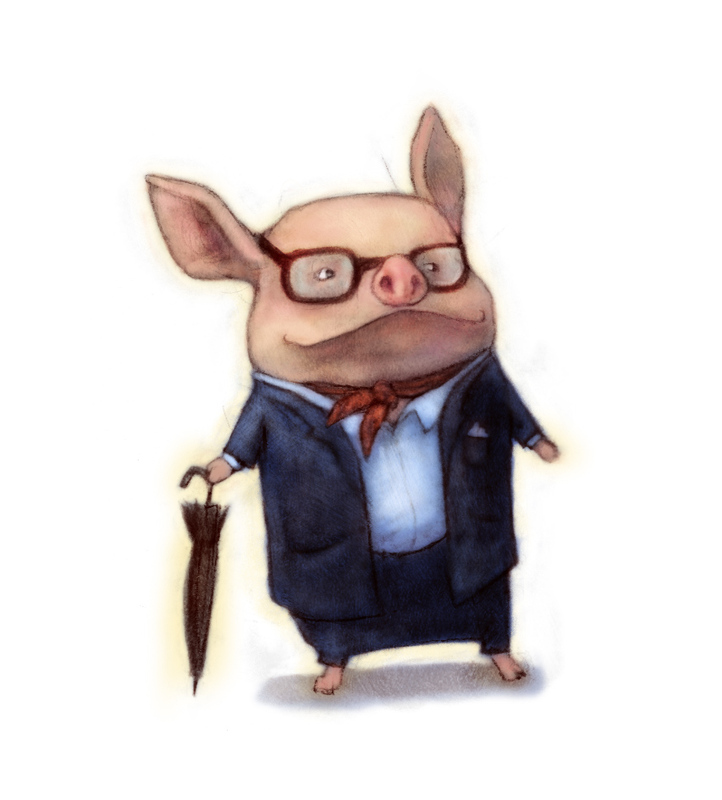 Pig Live! Hello, and welcome back to my talk show . . . Mr. Pig Live! Today, we have not one, but TWO fabulous guests. 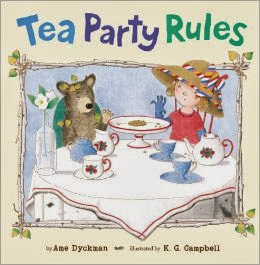 They're the stars of Tea Party Rules, a delicious new picture book about a bear cub who discovers a backyard tea party . . . with cookies! But getting to eat them means playing by the hostess’s rules. Let's give a warm Enchanted Woods welcome to . . . Welcome! What's your full name? THE GIRL: I’m “the girl.” This is “Cub.” He doesn’t say much. I can talk all day long. But not Cub. He—HEY! I saw you roll your eyes, Cub! Oh my. Here's a personal question. . . . Do you have a belly button? THE GIRL: I do! Mine’s an innie! Cub’s is a fuzzy. Fascinating! What is the best thing about being you? THE GIRL: Um, sometimes I can be just a teensy bit… bossy. YOU STOP LAUGHING RIGHT NOW, CUB! THE GIRL: Just my tea set and my bathtub and my vanity table and my dress up trunk and COOKIES! And that’s—OW! Why’d you poke me, Cub?! Oh. And, Cub. THE GIRL: I’m happiest when Cub’s following the rules and—OW! I mean, I’m happiest when Cub and I compromise. THE GIRL: I would like to fly. Cub would like to be invisible. Like last week, when I made sparkly tiaras! Poor Cub! Do you identify more with Goldilocks or the three bears? THE GIRL: That girl—uh-oh. Ame’s calling me. You answer the rest, Cub! 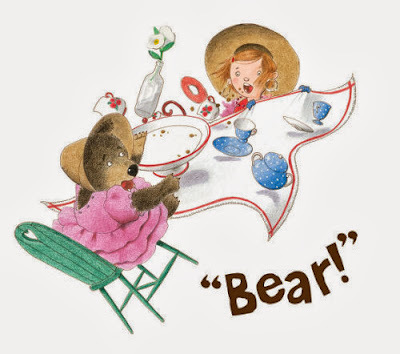 Er, what a lovely pink dress you're wearing, Cub. So, what is your favorite word? CUB: The oven timer. For the cookies. CUB: Sitting very still. And eating cookies. But not at the same time. CUB: The boy from IF YOU GIVE A MOUSE A COOKIE. And the duckling from THE DUCKLING GETS A COOKIE!? And the farmer from THE COW LOVES COOKIES. I'm getting the sense that you like cookies. If you have a pocket, what is in it right now? 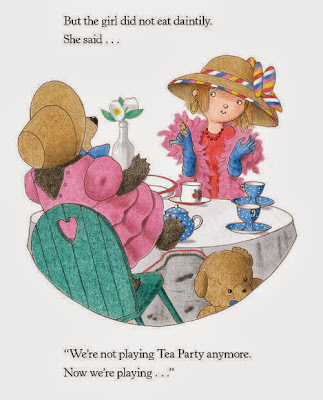 CUB: This tea party dress doesn’t have a pocket. But my princess costume does. (You don’t want to know.) There are cookie crumbs in it. I’m saving them for later. CUB: You can see this dress, right? Oh, yes. What is your pet peeve? THE GIRL: You’re still here, Mr. Pig? I forgot to hug Cub good-bye. There. See you tomorrow, Cub! CUB: Know what? It doesn’t matter. What was it like working with Ame Dyckman? Thanks for the tip, Cub! And speaking of cookies, you've cleaned out the Cottage's cookie jar. It's a good thing our friend, Nina, has just arrived with our lunch. Well, that's all the time we have for today. Thank you! Tune in next time when I interview another exciting mystery guest. Hints: His name rhymes with Macaroni and he has a Crankee compadre. Ame Dyckman (amedyckman.com) reads picture books when she’s supposed to be sleeping. Sometimes she writes them by flashlight, too. She is the author of Boy and Bot, illustrated by Dan Yaccarino. 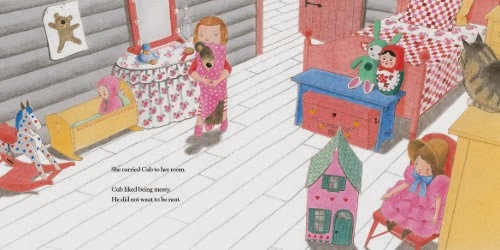 She's also written two forthcoming picture books, Wolfie & Dot (Little, Brown; Spring 2015) and Horrible Bear (Little, Brown; Fall 2015), both illustrated by Zachariah OHora. Ame with her family and menagerie in Lawrenceville, New Jersey. 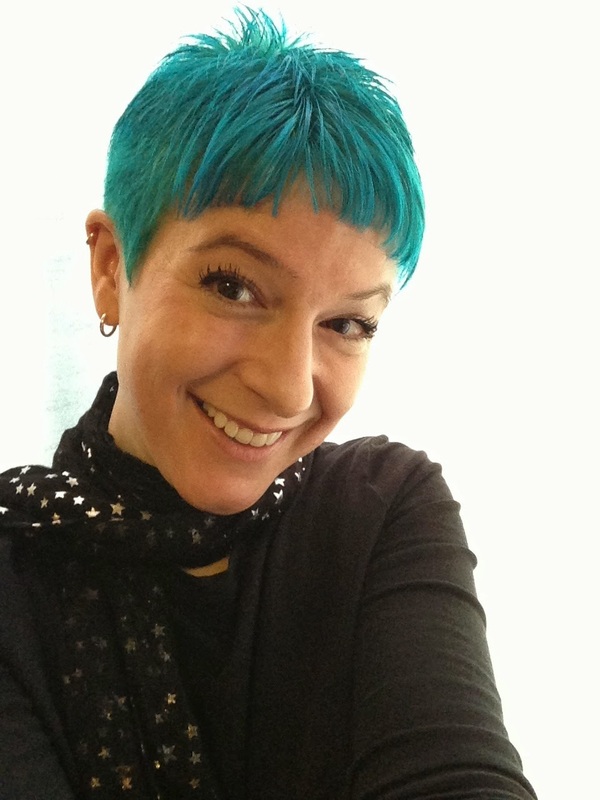 Follow her on Twitter (@AmeDyckman), where she reviews picture books and Tweets random goofy thoughts. K. G. Campbell (kgcampbell.com) graduated from the University of Edinburgh with a Masters in Art History, but various misadventures led him ultimately to Studio City, California. 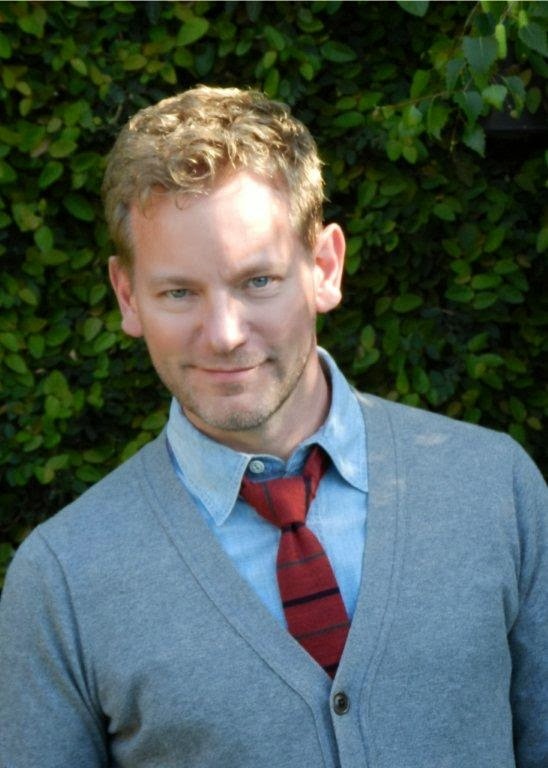 He is the author and illustrator of Lester’s Dreadful Sweaters and the illustrator of The Illuminated Adventures of Flora and Ulysses, written by Newbery Medalist Kate DiCamillo. I'm so excited to read this new story by Ame....please pass the cookies!